IT is one of the top music variety shows in town! With harmonies so tight that it will make your teeth hurt, the award winning show “IT” starring the Hughes Brothers is an amazing presentation filled with the widest range of music than any other show in town. 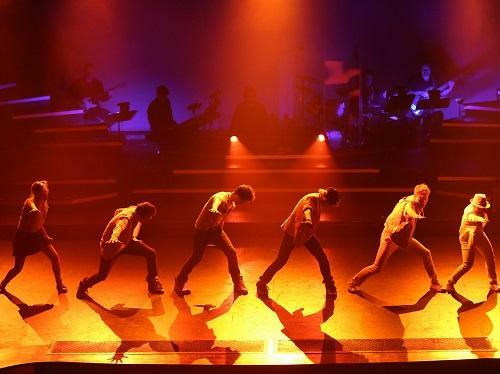 From country to pop to Broadway, the “IT” show has something for all ages in a full production show. The five Hughes Brothers, their five wives, and a stage-full of kids hold nothing back as they dazzle your senses with great staging and lights as the world’s largest performing family. This isn’t just another big family showing off their kids; this is a world class production with polished movement and dance, clear vocals, and stunning tight harmonies. 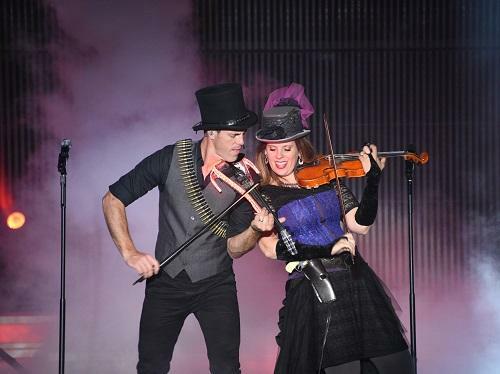 The Hughes were named the best musical family in Branson in 2014 and you will certainly understand why once you catch this electrifying show. We at Branson Ticket Deals like the show so much that we have a free shuttle included with adult tickets every Tuesday! Of course, we always have a great price and seats for any of their shows! Classic country and award winning comedy! 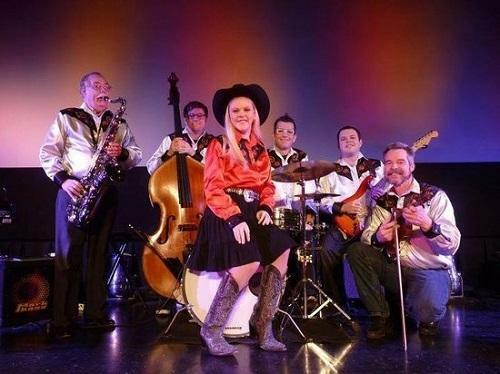 The Patsy Cline and Friends Show has the exciting sounds of country favorites performed by CJ Newsome & her Re-Cliner band, and the slap-stick comedy of Terry Sanders playing zany characters. This is the country classic show you’ve been looking for AND you get an extra discount every Sunday night with Branson Ticket Deals! It isn’t always easy to find classic country anymore, but this show puts together not only Patsy Cline favorites, but hits of other famous, classic-country artists as well as stylized vocals. CJ Newsome has been performing since she was three years old and was raised on the road performing with her parents. With strong vocals and amazing yodeling, CJ will give you a toe-tapping, good time in Branson. When the show isn’t filling the house with music, comedian Terry Sanders is bringing it down with laughter. Well known in the area for portraying a variety of characters from Barney Fife to Joan Rivers, Terry Sanders is a stewpot of comedy. For true country and big laughs, Patsy Cline and Friends is the show to catch! Pound for pound one of the best all-around, music variety shows in town. If you have never been to Branson, this is the show that will explain why this town is famous for entertainment. The Duttons are a multi-talented family that fills the stage with energy and pure, clean fun. Each member is an accomplished performer and musician – they are to instrumentation what a Swiss Army Knife is to cutlery. They play it all! Our staff loves this multi-talented family – even I take his mother when she is in town. Amy Dutton has been named the best violinist in town several times and will thrill you with country fiddling and put you in awe of her classical renditions. At one point, the entire family joins in on the fiddle. From comedy and a mix of music for all ages, the Dutton show is a polished production that is a town favorite and crowd pleaser every time. Ask us about our extra discount night!